Have you ever had a coach or manager who you initially wanted to work or play for, but over time found it difficult to trust or believe in? You may have even really liked them, but you still could not get yourself to respect them no matter how badly you wanted to. This is not uncommon, and one of the reasons why, is that many people get thrust into leadership roles before they have a philosophy of their own to share with others. Without a philosophy or at least an overriding purpose, it’s hard to get those under your charge to buy in. Poor leaders have no vision and just do the job they are assigned. They tend to be focused more on not doing things wrong, rather than on thriving to be as good as they can be. They may be good teachers, but without a purpose or plan, their team’s ceiling is low. Average leaders have a vision of where they want to go and use someone else’s (or often multiple people’s) philosophy(ies) as a shortcut to developing one of their own. This is a problem I see all the time. Nearly every athletic facility I go into has one or more quotes from the great coach, John Wooden on their walls. All of these quotes are profound and useful in the proper context. The problem lies in the fact that once people reach their mid to late teens they can generally see through empty verbiage. There is no quicker way to lose your team than to preach things that you yourself do not practice. Show me, don’t just tell me. As Malcolm X used to say, “A man who stands for nothing, will fall for anything.” People under your tutelage have to know who you are and what you stand for in order to give their all for you. If you do not know who you are or what you stand for, how can you expect those playing or working for you to? In a crisis situation, do you take your cues from someone who looks lost and confused or from the person who is confidently taking corrective action? The same is true in everyday situations like practice or work; you look to people you respect and trust for guidance; in short, people you believe in. It does not matter how much you like someone, you will not ask their advice if you do not respect them. You may go out to dinner with someone who is nice, but you won’t form a lasting relationship with them unless you respect them as well. All teams are built on relationships and at the core/heart of all relationships is respect. Without respect, all relationships eventually fail. Great leaders know who they are and do not just have a vision of where they want to go, but also a defined and evolving plan to take them there. I call this the What and the How and this gives team members a road map to use. A step by step approach beats a pie in the sky approach every time. This also enables team members to gradually grow their confidence and develop belief in the process. The greatest leaders go the extra-mile to make both themselves and their team members better. They embody the lesson in the story of the mother who asked Gandhi to tell her children not to eat sweets. When asked, he instructs the mother to bring her son back in two weeks. When she does this two-weeks later Gandhi instructs the child not to eat sweets. Afterwards, the mother thanks Gandhi and asks why he didn’t just tell the child two weeks earlier. Gandhi replies, “two weeks ago I was eating sweets.” The greatest leaders lead with their actions and reinforce them with their words. Team members knowing that you say what you mean, and mean what you say goes a long way toward earning their respect and devotion. All accomplishments start with belief. No one will believe in your ability to lead them if you are unclear about yourself and your beliefs. Have you ever heard anyone say: I love playing or working for Blank, he or she has no idea who he/she is or what he/she is doing? One modern example of taking this lesson to heart is current Seattle Seahawks head coach Pete Carroll. He was a good enough coach to work his way into head coaching jobs with the New York Jets and the New England Patriots in the 1990’s where he posted a career record of one game over .500. Carroll then took a year off from coaching and during his time away he evaluated what he could have done better and realized what was missing from his leadership was a guiding philosophy. He returned to coaching when he accepted the head coaching position at one of the most storied college programs in the country(which was down at the time), USC. This time he brought his new philosophy known as Win Forever, along with him. After finishing 6-6 his first year, he ended up accumulating a record of 98-19, winning two national championships along the way. He was then hired away by the Seattle Seahawks to rebuild their ailing franchise and by the fourth year of his tenure they won the Super Bowl. So what’s the difference in being an NFL coach with a philosophy and one without one? 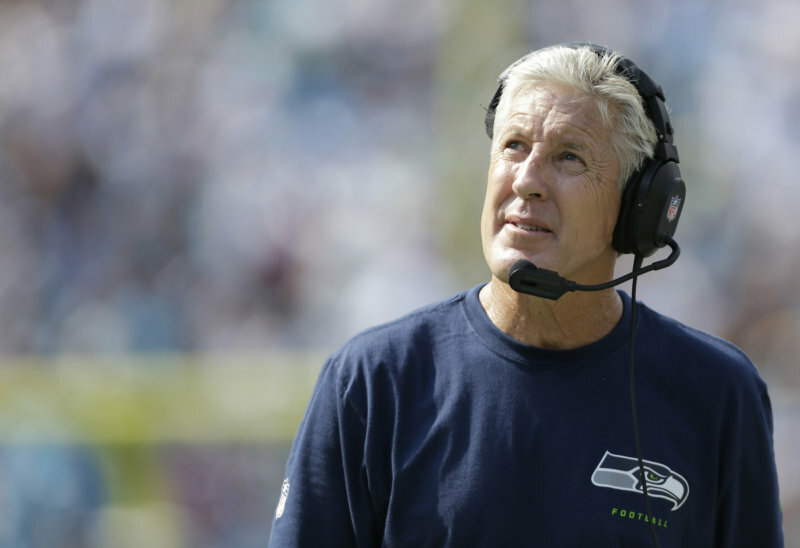 In the case of Pete Carroll’s record, it’s 79-46-1 to 34-33. With a good philosophy, you too, will likely be able to accomplish more and perform better as a leader. A leader in the use and development of mental skills that help you (or your team) achieve peak performance. His work with teams and businesses has not only increased their productivity, but also enhanced team members enjoyment of the process. He is currently focused on his work with professional athletes, as well as working as a consultant with sports teams, businesses and individuals.